Fr. 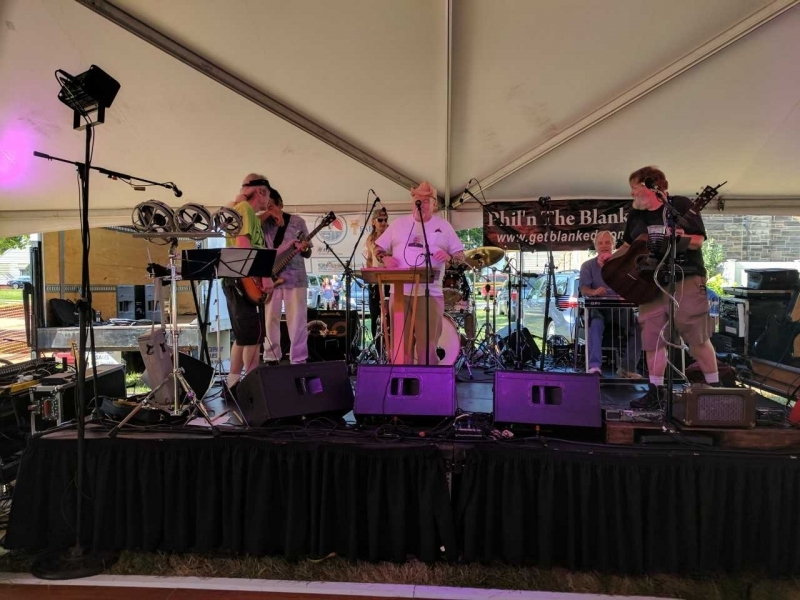 Dennis McNeil joins members of 'Phil 'n the Blanks' to close out the SRW International Festival. 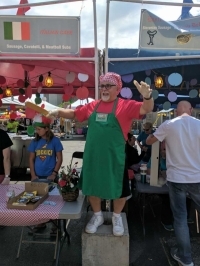 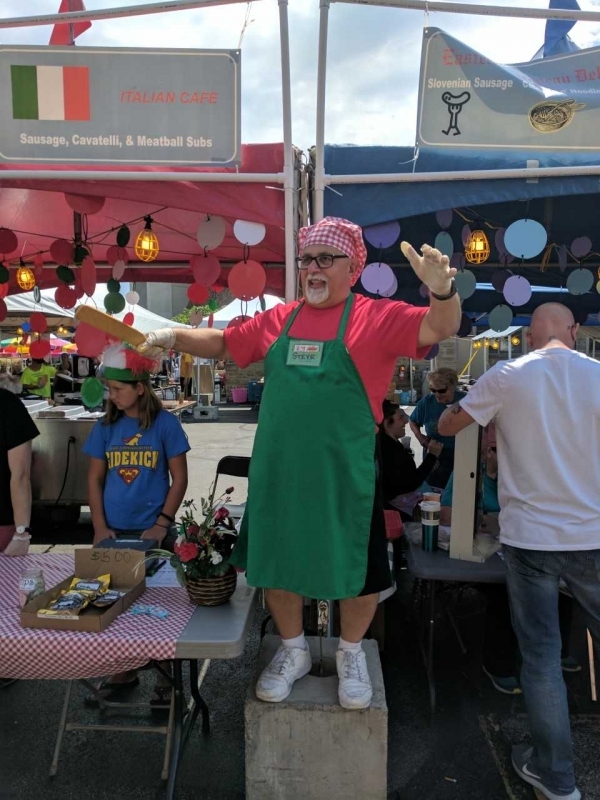 Steve Kaselak shares his enthusiasm and encourages guests to partake at the Italian Booth.